Today’s post isn’t very glamorous but, with heightened awareness of Ebola and bird-flu related panic sweeping the country, I thought it was time to start facing up to facts, start thinking how I could protect myself and…..get an antibacterial hand gel. GENIUS!?! Ohhhh antibac gels, I both love and hate them. They only make an appearance in my bag on holidays (when somehow they become necessary more than if you were at home? ), or following an incident of gross-closeness on the tube when you’re face to face with an incubus of viral plague… OR, as was the case this week, when a worldwide epidemic is all over the news and also (thanks to Bob Geldof, the walking fringe) your playlist too! The honest truth though is that antibacs can be blooming awful. Some hand gels smell horrible and sharp, others dry your skin out like you’ve bathed your hands in vinegar. Although companies have made huge strides with scent (cucumber and watermint anyone? ), the texture still remains that lumpy gel stuff with bubbles through it which makes me feel a little bit ill – it’s like noxious gelatin! Todays product has bubbles throughout but a lot more than your typical antibacterial gel – because it’s a foam! 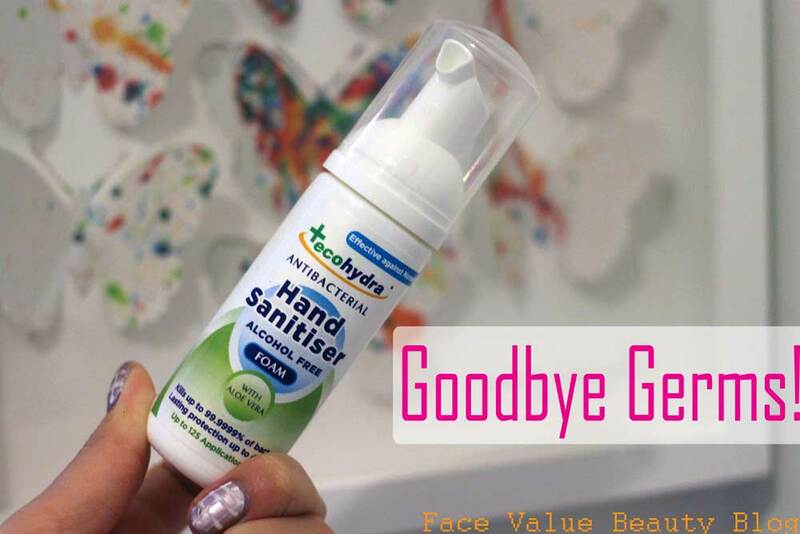 The Ecohydra Antibacterial Hand Sanitiser is an alcohol-free antibacterial hand foam. It’s much less harsh than traditional gel based formulas since the formula doesn’t change the pH of your skin and doesn’t strip moisture away. Packaging wise, it doesn’t really look that fancy – more like something that came out of a pound shop but, to be fair, most antibacs do.. 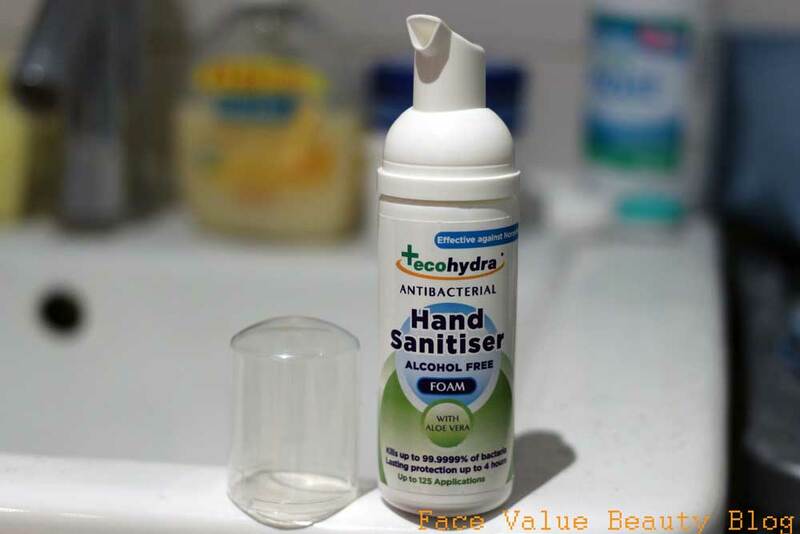 This Ecohydra Hand Sanitiser is super light and so easy to use. Who doesn’t love a pump action!! I also love that it’s alcohol free, I really think it makes a difference. And so do a lot of people – it‘s used in hospitals, schools and apparently even space stations! Funnily enough, the Ecohydra Hand Sanitiser’s biggest claim is not actually it’s lovely alcohol-free, moisturising formulation. AH? WHAT AM I MISSING? The biggest claim for EcoHydra is that it actually kills 99.9999% of germs – whereas most high-street versions only kill 99.9%. To be honest, that’s the not the key selling point for me given that I’m not a surgeon or in the catering business but it’s a nice plus isnt it?! It does the job without destroying my hands and it’s only £2.49 at Boots. Oh yeah, and Nicole Scherzy loves it too. I’m SOLD. What do you think of antibacs? Do you only use them for holidays and pandemic paranoia too? An opportune moment to mention that you can donate to the MSF (Doctors Without Borders) Ebola cause here. Previous Post The Library Of Fragrance: Every scent you ever wanted! Next Post Home Hair Dye Adventure: It’s BLEACHING Time. Yeah, mine too!! This is the first time i've used a foam, it's weird at first but keeps my hands soft!